After numerous leaks, it seems that the next-generation of the phone that offers probably the best value-for-money ratio on the market will be revealed on Wednesday. Or if we don't get to see the full device, the more likely scenario is that we will get a teaser with the first official details. So far, leaks paint a picture of the OnePlus 7 being a phone with a true edge-to-edge screen with no notch, a dream form factor that we have been slowly approaching. The secret to achieving this look is the pop-up front camera: a system inside the phone is expected to promptly lift up the front camera module every time you switch to it. How do we know that you ask? Simple: a number of phones made by Oppo and Vivo, the two brands owned by the same parent company as OnePlus and sharing production facilities, have implemented the new system in their latest devices. 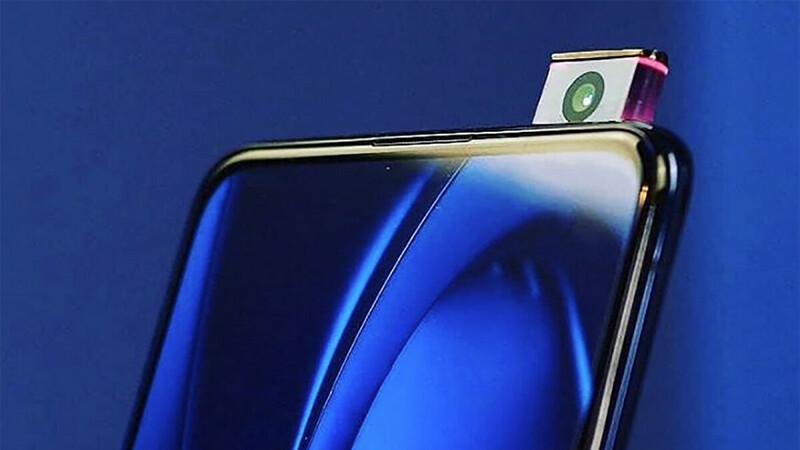 Plus, all the insiders agree that the OnePlus 7 will implement this new pop-up camera. What could go wrong with a pop-up camera? Likely, no face recognition and what if you drop it? And while this is undeniably cool tech, it comes with a few possible downsides: first of all, it seems that removing the traditional front camera will prevent OnePlus from offering face recognition on the OnePlus 7. OnePlus never had secure, 3D face recognition, but it's picture-based 2D face identification worked impressively quickly and many people used the feature. And the second concern is about the reliability of such a system: will it pass the test of time? And could it be affected if you drop your phone? For all else, we expect the OnePlus 7 to continue the tradition of fast-performing, buttery smooth OnePlus phones with a focus on speed. OnePlus makes just one phone which helps the company optimize it to perfection and it even has a big, separate team dedicated to shaving off every millisecond of lag and stutter. Indeed, the smooth performance on a OnePlus phone is something that we ourselves are extremely impressed with and we can only compare it to the smoothness you get with a Pixel phone or an iPhone. OnePlus has also successfully established itself as a value-for-money brand. It has slowly been growing prices with every new phone, but the keyword here is slowly as other companies have quickly raised prices to $1,000+, while the OnePlus 6T currently starts at just $550. With this in mind, stay tuned for more news about the OnePlus 7 on Wednesday, April 17th. And while you wait, don't forget that we also have a detailed overview of the leaks and rumors, and everything you should know about the OnePlus 7 here. Just as with other aspects of cellphones, I'm sure that this camera could be negatively affected by dropping the phone. Phone drops already can scratch camera lenses, break front and back glass, scuff the metal edge, scuff any glass. I suspect, as with other pop-up cameras, if a drop is detected, the camera will slide back into the phone for protection. OnePlus ruined everything when they removed the notification LED. The waterdrop notch is also quite ugly and not many manufacturers chose it.